Thanks to the talents of Sarah Menzies of Let Media, we had a filmmaker on hand for our most recent trip to Afghanistan. She generously gave her time and skills to edit a behind the scenes peek at the gear drive to support the men’s and women’s cycling teams of Afghanistan, while she was in Kabul to start production on Afghan Cycles, a film about the women’s national cycling team. We are so excited to share this with the Mountain2Mountain community who helped make this happen, and hope you’ll share it with your community and networks to help us rally more support for these incredible cyclists as we rally for a second round of gear donation this fall, and are raising money to rent a minibus and driver so that the women’s team has safer transportation to and from training rides on the outskirts of Kabul. We hope you’ll be inspired by the women that dare to ride and be part of our next steps with the teams this fall. We need your help to get the second round of bikes and gear over to Afghanistan this fall in support of the women’s national team. Please donate today and help us rally the funding we need to continue to support the women that are changing the face of women in sport! In addition – a huge thanks to the film crew that was part of this journey; Sarah Menzies, Whitney Conner Clapper, Claudia Lopez who along with myself as producer, make up the crew for the upcoming film, Afghan Cycles, about the Afghan National Women’s Cycling Team – the women that DARE TO RIDE! You can follow the progress and behind the scenes photos and blogs on Facebook and stay tuned for details as the film is in production with plans for a spring 2014 premiere! Read more about our spring gear drive and support for the women’s national cycling team here! Cycling Kits for Sale to Support Strength in Numbers Program! 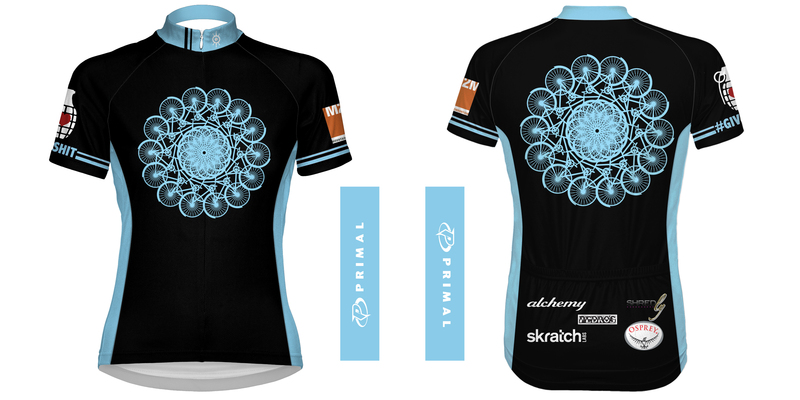 A huge thanks to Primal Wear for these amazing cycling kits that we can sell to support the launch of the Strength in Numbers program. They have generously donated design and production so that we can donate 100% of proceeds to our programming. 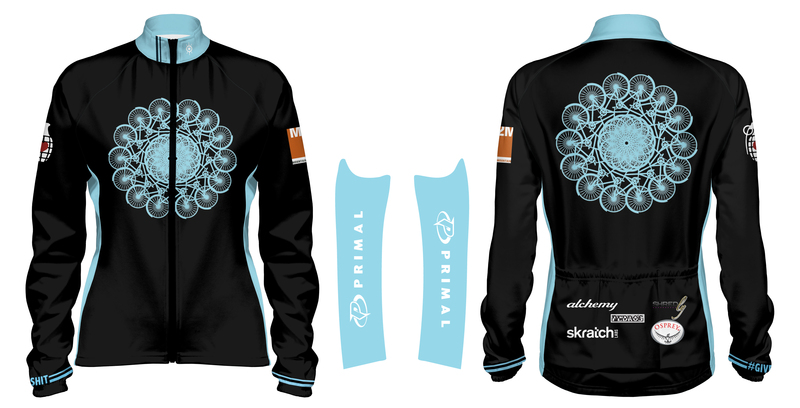 These are special edition with a limited run of men’s and women’s cycling jerseys, shorts, and jackets. When they are gone, they are gone, and they won’t come back. The back lists our key sponsors: Osprey Packs, Skratch Labs, Alchemy Bicycles, Shredly, and Pedros. You can visit Primal Wear’s site to check sizing if you are unsure. You can get yours by emailing info@mountain2mountain.org with your order and shipping address, and if we have your sizes we’ll direct you to make your donation total, including $10 shipping fee, on the Mountain2Mountain website. We’ll get you orders shipped out within 7-10 days. No refunds – we are doing this grassroots style out of boxes at M2M headquarters – aka Shannon’s house. Gorgeous bike mandala was created for Strength in Numbers by April Lemly! Want a t-shirt to show your support? 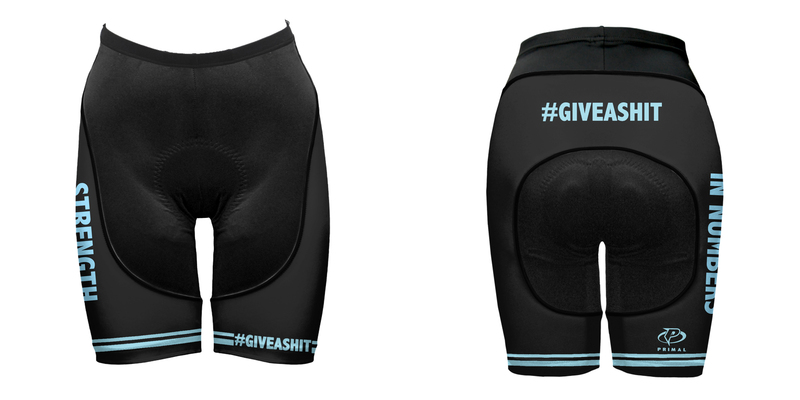 Not a cyclist, don’t wear spandex, or we don’t have your size available? Check out the special edition tshirt available direct on Handlebar Mustache – proceeds of the sales benefit Mountain2Mountain and help spread the Strength in Numbers love! 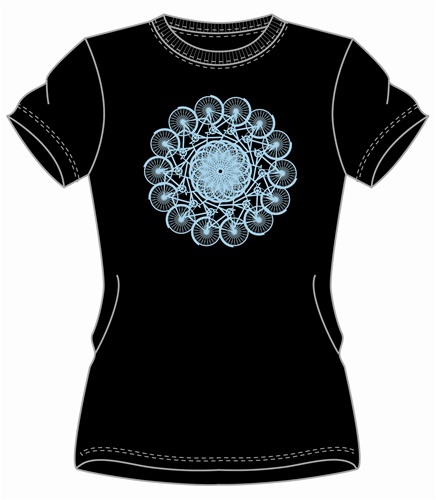 Brett and Ashley designed the shirts, complete with our bike mandala and #giveashit tagline and offered them up for sale on their site. Guys, you can get yours here! Ladies, you can get YOURS here!